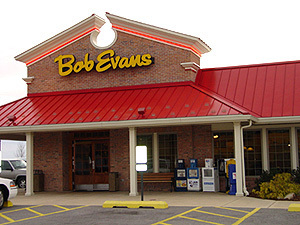 It’s no secret that Bob Evans cooks up tasty meat treats. Less publicized is how the sausage is made: With millions of your tax dollars. Earlier this year, the company announced plans to move its headquarters from the south side of Columbus to a nearby suburb. 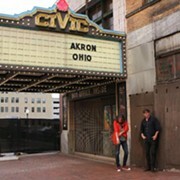 Waiting just down the street was more than $7 million in state money for pulling up stakes, plus tax abatements. But according to a just-released study from the left-leaning think tank Policy Matters Ohio, public workers — actually, all of us — are already doing quite a bit for companies like Bob Evans. It found that more than one in every eight Bob Evans employees qualifies for Medicaid, food assistance, or cash assistance from the state. The taxpayer cost is pegged at $14 million annually. Bob Evans is Ohio’s 19th largest employer, yet it ranks fifth in terms of workers receiving public assistance, joining a list headed up by such welfare machines as Walmart and McDonald’s. Wendy Patton, who conducted the study for Policy Matters Ohio, says that in just the five years they’ve probed the issue, there’s been a shift in Ohio’s top 50 employers from manufacturing companies that pay a living wage to those whose low-paid employees receive public benefits. She estimates that five years ago, perhaps four companies made both lists; now it’s almost twice that. “There’s been a clear change in the economy,” she says. “To use tax incentives for low-wage companies, it doesn’t seem to be a public-policy decision that makes sense,” she says, referring to the Bob Evans subsidies.